100 million Internet users, 286 million phone users, and a three trillion dollar economy. These are the three numbers that anyone should remember when looking at the Internet and technology opportunities in today’s Arab world. The Arab world is made of 350 million people spread between 22 countries from the Atlantic Ocean to the Arabian Gulf sharing one language and tight cultural and entertainment affinities. Over the past decade this “world” has significantly invested in its physical and human infrastructure, creating an economic space that has increasingly facilitated the circulation of goods, capital, ideas and people. The Gulf Cooperation Countries (GCC), a trade union that groups the strongest Arab economies of the Arabian Gulf (Saudi Arabia, UAE, Qatar, Kuwait and so on) has emerged as a global player both on the political and financial scenes (with the presence of its notorious sovereign wealth funds, new global companies and cross border investments). These same countries have invested in a large middle class, increased disposable income and created significant business opportunities across the region. 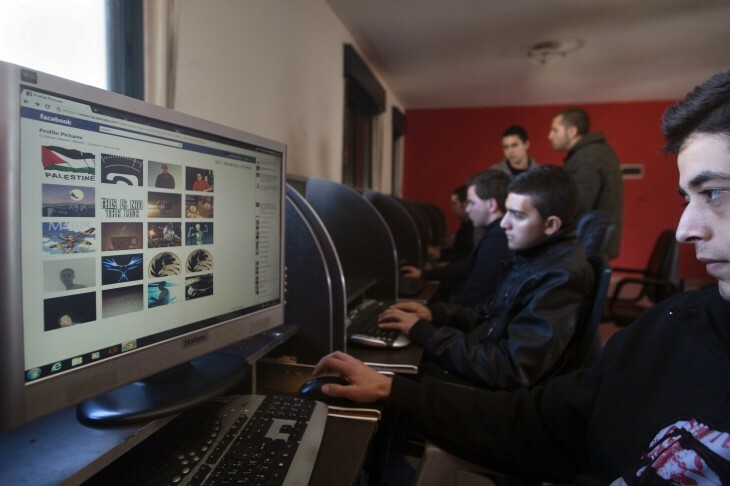 Followed by inspiring political and social movements known as the Arab Spring, this region has displayed a high level of Internet connectivity and great appetite for Internet usage, as demonstrated by the intensive use of social media, proliferation of blogs and finally the massive increase in e-content production and increased adoption of e-commerce. With a broadband penetration estimated at 25% and 3G penetration rates nearing the 40% threshold, this nascent Arabian Internet and mobile market is bound to grow aggressively in the coming years driven by confirmed liberal economic agendas in key markets such as Morocco, Egypt, Saudi Arabia and the UAE. Although roughly 5% of the global internet population speaks Arabic, only 1.5% of Internet content is in Arabic, opening the door for sizable opportunities to bridge this gap with relevant content and products. Driven by a young connected population (roughly 80% of Arabs are less than 30 years old), the Arabian internet market provides scale and diversity of consumers. All Arabs across these 22 countries share the same language, have similar entertainment references, listen to the same music genres and have grown to appreciate and follow common movie actors, writers, stars and public figures. I have spent the last ten years traveling across this fascinating world and have watched Lebanese reality shows in the city of Fes in Morocco, listened to Egyptian music in the suburbs of Algiers, compared notes on famous Syrian drama series with Emirati friends, spent time playing online Arabic games with my virtual Egyptian and Saudi opponents and obviously have conducted numerous business meetings with businessmen, entrepreneurs, counterparts, advisors and start-up owners who dream of a more integrated Arab world. Wherever I go within the Arab world (and partially thanks to internet and TV), I have something tangible — other than language — to share with others living in a different country. This modern regional reality means business for any venture capital fund who aspires to finance the next wave of innovation and creative companies across the Arab world. At Middle East Venture Partners, we come across many promising Arab companies, who are specifically addressing these Internet content needs. We strongly believe that every Internet segment requires (and deserves) serious long-term investments in order to create the Arabian companies of tomorrow: e-commerce, gaming, software, streaming, portals, e-payments, mobile apps and so on. Luckily, most Arabian countries have developed thriving telecom and media industries with fully fledged competition increasing the chances of companies to tap into their consumers, accelerating the proliferation of virtual goods companies such as portals, gaming, streaming and apps (through targeted telecom or media partnerships). A music streaming startup like Anghami (think Spotify for the Arab world) could see the light because of the cross-border collaboration (although nascent but promising) between startups, local telecom incumbents and Arab media players. On the more traditional e-commerce side, MENA’s multi-billion dollar e-commerce market has seen an explosion of new players out of countries like Jordan, the UAE and Egypt, with some local giants rallying foreign capital from global funds (recently, Yahoo! acquired Maktoob.com, Naspers invested in in Dubizzle, souq.com and CashU, for example). The Arabian e-commerce market is currently estimated at US$20 billion with a 30% year on year growth rate. However, this rosy picture is tainted by some serious challenges: presence of heavy customs duties affecting shipment delays and costs, fragmentation of payments solutions, serious lack of internet savvy talent (especially in SEO, game design, and online strategy), lack of modern Internet regulatory frameworks in most countries, poor online payment infrastructure. These are some of the problems faced by Arabian companies today. Several companies are working hard to heal some of these pressure points, paving the way to a sustainable long-term Internet industries growth. To name a couple of examples out of Jordan: global shipping player Aramex (founded by a Jordanian entrepreneur) is providing superior shipment solutions to all Arabian e-commerce startups at acceptable costs, and Gate 2 Play (a Jordan-based startup) is providing comprehensive plug and play payment solutions to all international and local players looking to provide credit and pre-paid cards payment solutions to their customers in the MENA region. The journey is beginning. Current growth trends show that users, transactions and content are increasing at high rates month-over-month. The biggest confirmation of this “nascent and promising” business opportunity is the relatively low valuation that we observe today across the region. Most Arabian startups are still valued below the US$4 million post-money thresholds (at series A and sometimes Series B stages) which is something very difficult to find in other emerging markets such as Brazil. The current valuation trends that we observe will likely remain at acceptable levels especially with relatively low levels of M&A activity in MENA and the gap in institutional Series A and Series B funding. Today, entrepreneurs often settle with limited initial funding rounds (short runways) mostly supported by angel investors and are quickly pressured to deliver on their revenue models. The proliferation of startup accelerators, angel networks and seed funds across the region is supplying the market with a high number of startups that are facing difficulties to raise proper follow-on rounds. The Series A and B funding gap is obvious today. Any new VC willing to enter the Arabian market will have an acceptable deal flow to consider from countries like Lebanon, Jordan and Egypt. The question remains whether these startups have what it takes to navigate and succeed in a region where deep understanding of local cultures coupled with solid business connections is needed to open doors. On another front, I personally believe that VC investing within the Arabian market will succeed if the funds are well structured (proper GP/LP structures enabling full alignment of incentives between fund managers and startups shareholders) and relevant portfolio management skills and proper runways are provided in order to maximize chances of success. Those who successfully take off will navigate in the sixth largest Internet language, very soon to become the fourth.